To take advantage of improving economic conditions and strengthen its workforce, GE Energy relies on leadership development strategies. Bill Meeker, GE Energy’s chief learning officer, says, “We have a major focus on employee development right now as part of what we’re calling re-recruiting our talent.” The company increased its investment in learning and development by more than $1 million in 2009 and recorded an estimated 13 percent increase in instructor-led leadership and essential skills training, he says. One of GE Energy’s most successful undertakings has been its Contemporary Leadership Series, which is now used in more than 200 locations worldwide since its 2007 launch. Meeker says the approach is used to address areas on which global managers want more information, such as financial knowledge, how to engage millennials, and working in a matrix. He says site or business executives lead two-hour to three-hour interactive sessions to facilitate peer sharing, learning, and networking. The learning team relies on feedback from managers and senior leaders to develop the agenda at each of the sessions. 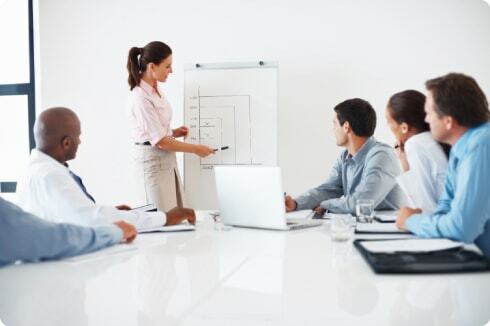 During each session, a senior leader usually explains the business need for the session and how it is relevant to the organization’s overall business goals. Attendees are then divided into smaller groups to work on scenarios related to the topic, and an observer and group members may be asked to give input. Highly skilled managers may be videotaped as they conduct role-modeling activities in order to share best practices and helpful behaviors. The face-to-face sessions usually last a few hours and are accompanied by a networking component. GE has always been a proponent of continuous employee development and have been rewarded with leaders that are highly regarded and hired by numerous Fortune 500 companies as CEO. Their leadership development courses are reknowned within the talent development industry.